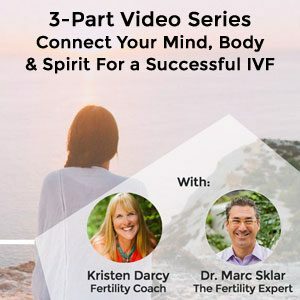 Each video focuses on the Mind, Body and Spirit during a specific phase of your IVF cycle. Before: Prepare your mind for the emotional rollercoaster. Prepare your body to get pregnant. Prepare your spirit to hold tight to your dreams of a family. During: Keep your mind focused on the goal and calm the mental chatter. Focus your body on doing exactly what it needs to do in order to have a successful cycle. Keep your spirit afloat and your eye on the baby of your dreams. After: Let your mind do it’s job. Celebrate all the hard work your body has done. Lift your spirit and get ready for a healthy pregnancy! Come learn from us so that you don’t have to go through multiple cycles to find out what is going to work for you.